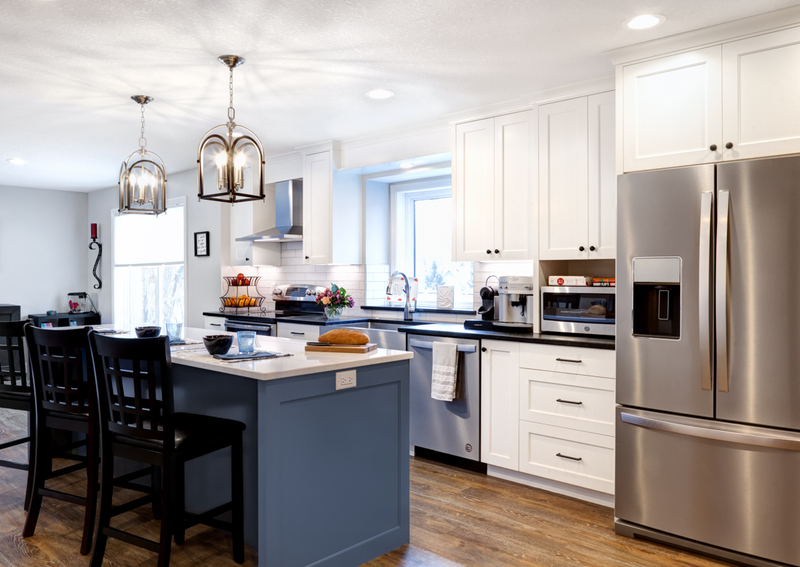 Now, that winter is over, it’s time for the Spring 2019 Remodelers Showcase! 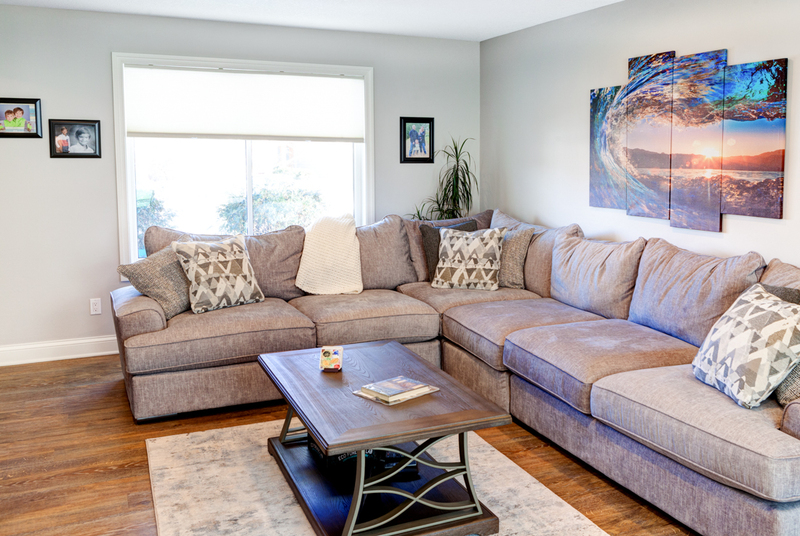 Our AMEK team wants you to come see how we transformed this home in an amazing way for an Eden Prairie family. 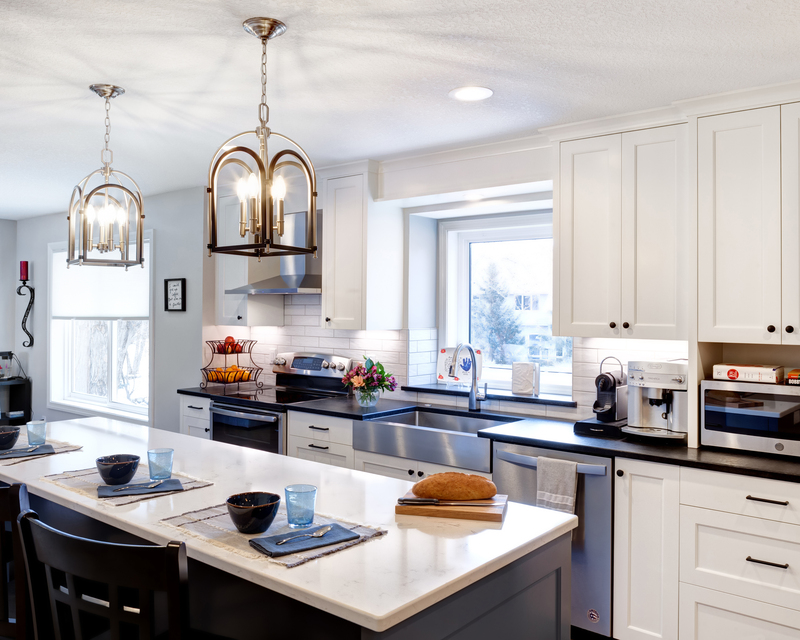 Organized by the Builders Association of the Twin Cities (BATC), the Showcase March 29-31 provides homeowners an opportunity to tour the latest trends in remodeling and meet the builders. 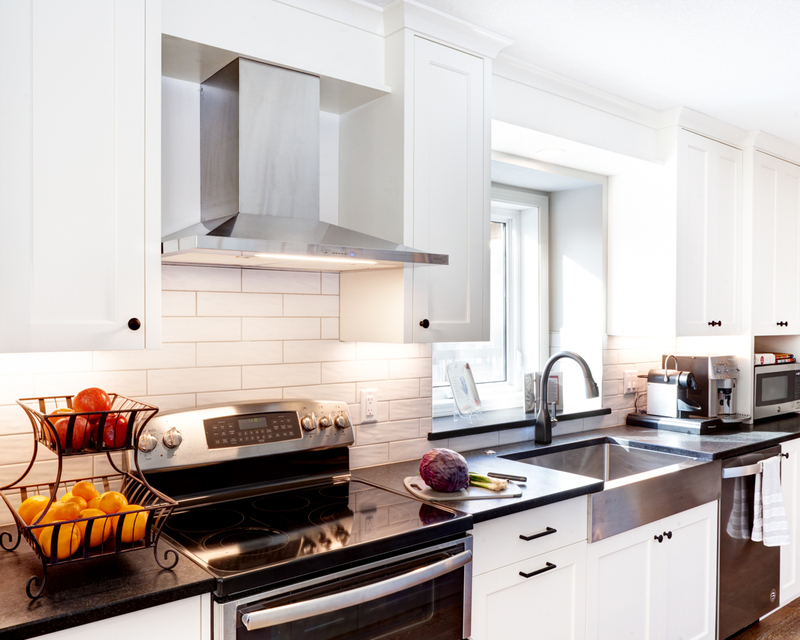 Initially, this started off as a basic kitchen update for their 1985 Eden Prairie home. After talking about the frustrations of congested traffic patterns and limitations when entertaining their group of friends, the homeowners and the AMEK design team emerged with a new vision. 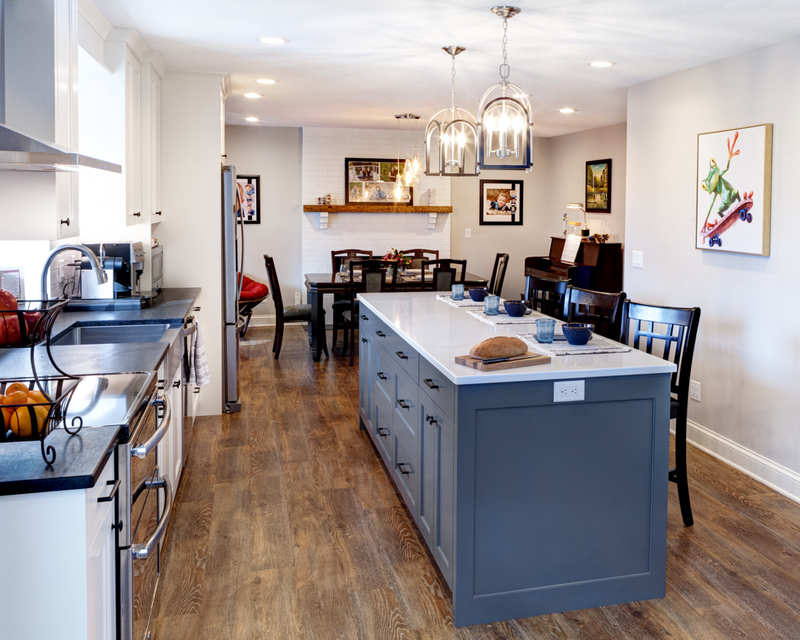 By taking down a wall between the living room and kitchen and then changing the kitchen orientation, the main level now has an open layout which has the homeowners even more delighted. They appreciate being able to watch their sons play board games in the living room while they do meal preparation. To test our their remodeled space, they have already hosted several large gatherings for holidays and for the Super Bowl. 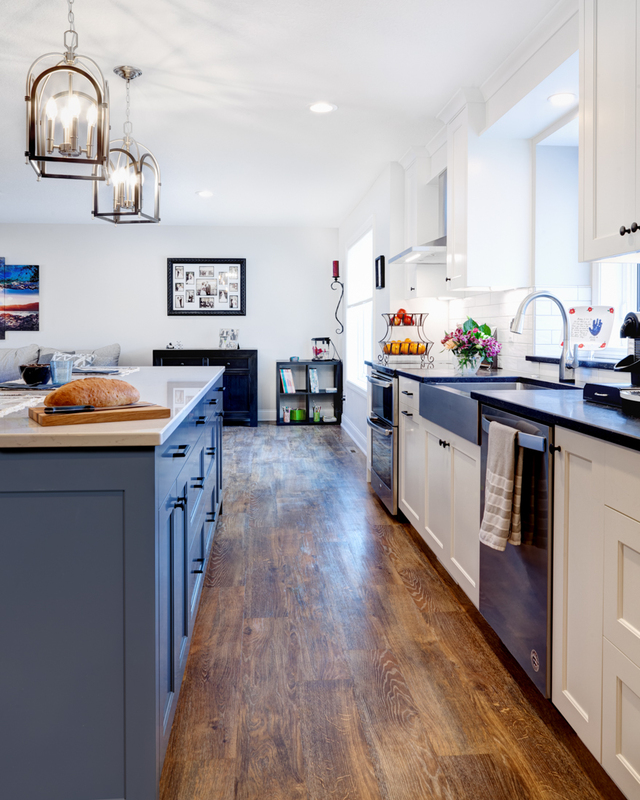 The positive difference in how guests interact and how well the island works to serve food is “amazing” according to the homeowners. A favorite part of the project is the island with seating that encourages breakfast time with the kids before school plus becomes a work station for science experiments or making pizza together, To provide contrast and added depth, the granite and quartz countertop selections balance out the white and gray-blue custom cabinetry. Tying everything together is the luxury vinyl flooring throughout the main level. Come see for yourself how truly gorgeous this looks throughout the main level. 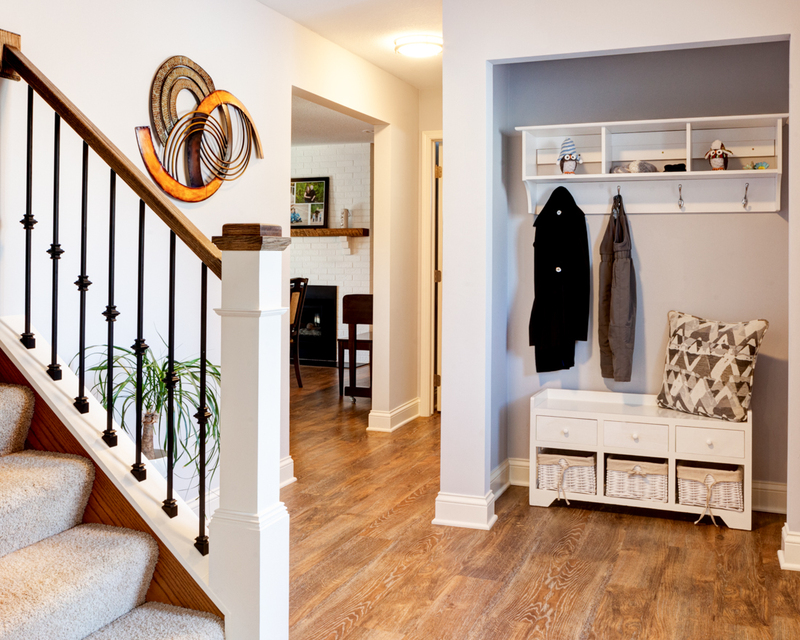 The half bath along with the entryways – front door and garage – received updates as well. We are grateful these clients selected AMEK for this encore project. For this Eden Prairie family, we did an exterior renovation a couple of years ago. 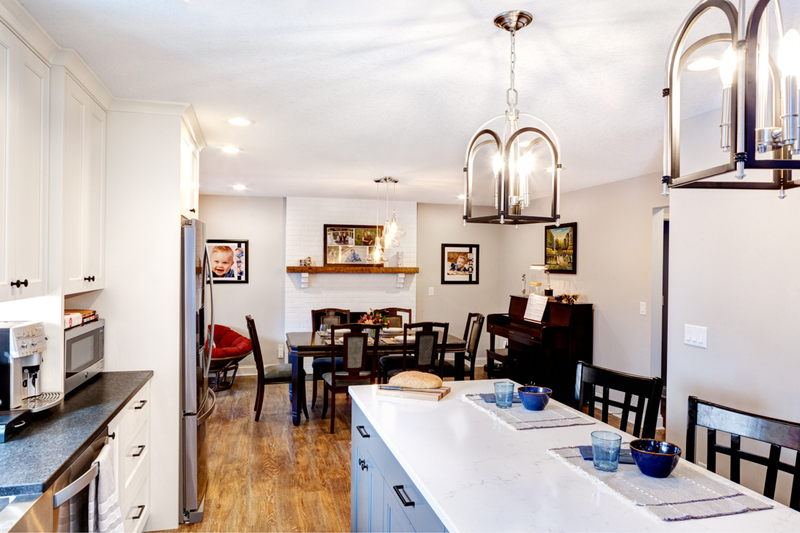 We invite you to see our Bloomington project at 7801 W. 95th St., Bloomington, for another chance to see how a main level remodel can reinvigorate your home. 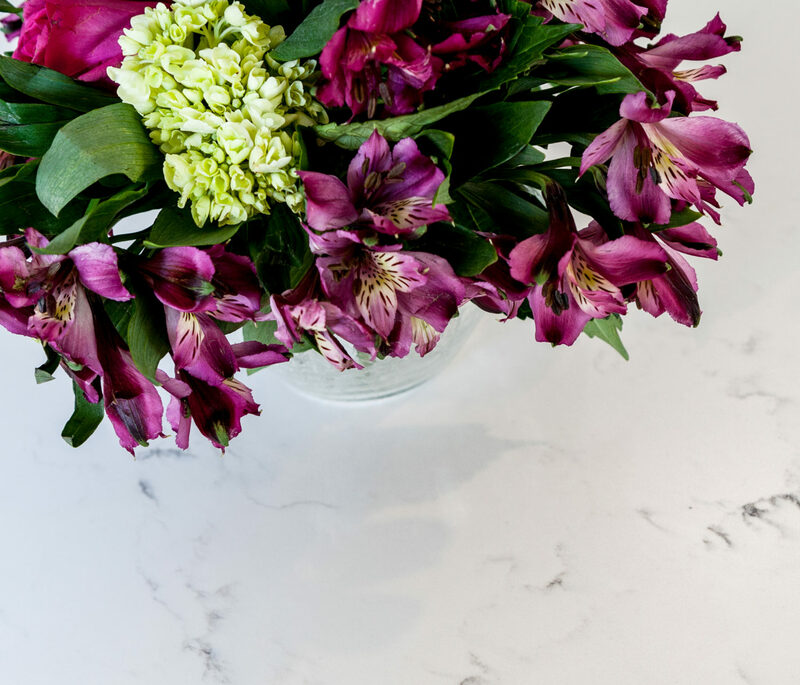 We hope you can stop by both of our homes and meet our AMEK team. Remodelers Showcase hours are noon to 6 p.m. March 29-31. We’re ready to talk about your next project when you are – Contact us!